As 2015, the International Year of Light, draws to an end, we may find - in full retrospect of the year - that we didn't "shine" as much as we initially wanted to. Then again, maybe we did. Maybe we excelled in doing so. Whatever the case may be, whether we're living the annual theme or striving to "shine" as Christians, it's not about what we did or how we did it. It's more about how much we grew in process. It's all about improvement. I found this picture and just loved the message. Everything has a crack in it. That's how the light gets in. 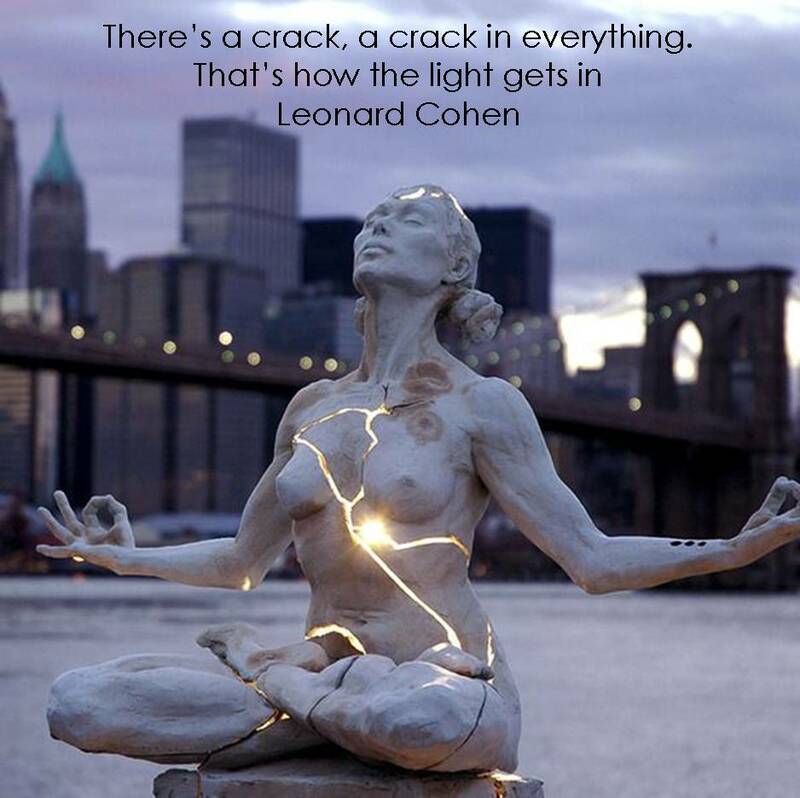 Had we been perfect, there would be no cracks. And that's just it. We're not perfect. Our imperfection has made us weak. Our minds are filled with ego, fear and desire. In this state, we need His light for strength to carry on with purpose. We don't have to be perfect to walk in His light. It's a choice really! We choose to shine and we choose to allow His light in. It's all about moving forward and becoming better (change, growth, development)!